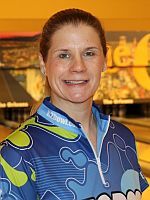 A month removed from her inspirational performance at the World Bowling Championships, Shannon O’Keefe of O’Fallon, Illinois, again is on top of her game as she moved into the overall lead at the 2018 United States Bowling Congress Team USA Trials. After starting the event at The Orleans with a 27th-place finish Wednesday, O’Keefe (pictured above) has recorded three consecutive top-five finishes to take the lead with 36 ranking points. Kyle Troup of Taylorsville, North Carolina, returned to the top of the standings in the men’s division Saturday and has 18 points. The players in the field earn points based on their finishing positions in each qualifying round. 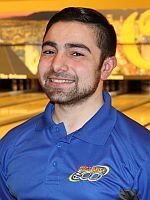 The top bowler of the block earns one ranking point, second place earns two points, etc., with the lowest total of ranking points after the five six-game blocks determining the 2018 Team USA Trials champions. 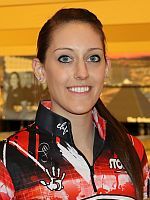 At the World Bowling Championships, which took place in December at the nearby South Point Bowling Plaza, O’Keefe teamed with Kelly Kulick of Union, New Jersey, and Danielle McEwan of Stony Point, New York, to advance to the medal round in trios competition. The night before the medal round, O’Keefe was in the emergency room due to complications of a kidney stone. She persevered through the pain to help her teammates advance to the title match, where she rolled a 238 game against Germany to help Team USA claim the gold medal, 611-582. Although O’Keefe would have several weeks to recover after returning home to O’Fallon, there was a slight sense of concern in her recovery time as Team USA Trials quickly approached for the 13-time Team USA member. “That really was a crazy time for me,” said O’Keefe, who also won a bronze medal in doubles with Josie Barnes at the World Bowling Championships. O’Keefe (left), a 38-year-old right-hander, posted a 1,367 total Saturday to finish third on the 37-foot Melbourne pattern. 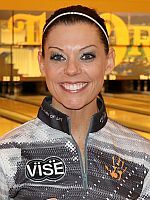 After a slow start in Wednesday’s opening round, which included a 140 game in Game 2, O’Keefe has settled in at The Orleans in Las Vegas, averaging nearly 230 in her last 22 games. Each round at the 2018 Team USA Trials is contested on a different World Bowling lane condition. “That one game was really frustrating, and it actually started during the very first game of the event,” O’Keefe said. (right) is second in the overall standings with 38 points, and Jordan Richard of Tipton, Michigan, is third with 40 points. Liz Kuhlkin of Schenectady, New York, and Kelly Kulick are tied for fourth with 55 points. Kulick (left) paced Saturday’s round after putting together games of 226, 215, 246, 247, 234 and 234 for a 1,402 total. McEwan finished the day in second with 1,391. Kyle Troup (right) led the men’s field after the opening two rounds, and the 26-year-old two-hander used a sixth-place finish (1,451) Saturday to reclaim the overall lead over AJ Johnson (below left) of Oswego, Illinois. Johnson finished the fourth round in 13th place and has 21 points. 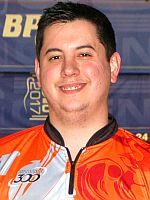 Troup has continued his momentum from a strong showing at the Professional Bowlers Association World Series of Bowling IX in November and finds himself one round away from earning his debut on Team USA. 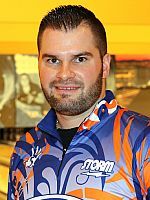 “This probably has to be the best I’ve bowled in my career,” said Troup, a two-time PBA Tour titlist. Defending Team USA Trials champion Jakob Butturff (right) of Tempe, Arizona, and Darren Tang of San Francisco are tied for third with 48 points, and DeeRonn Booker of Anaheim, California, is fifth with 80 points. Chicago’s Michael Martell (left) averaged more than 252 to lead Saturday’s fourth round, rolling games of 256, 278, 213, 255, 279 and 236 for a 1,517 total to edge Matt Russo (below right) of Millstone Township, New Jersey, who finished second with 1,508 after leading Friday’s round. Butturff rounded out the top three with 1,473. The United States National Amateur Bowling Championships also is being contested during Team USA Trials. 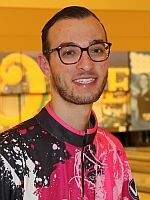 The top three amateur men and top three amateur women after Sunday’s final round of qualifying will advance to a stepladder final, which will determine the U.S. Amateur champions. The winners will earn spots on Team USA. The U.S. 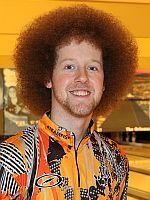 Amateur stepladder will begin Sunday at 10:30 p.m. Eastern and be featured live on BOWL.com’s BowlTV. 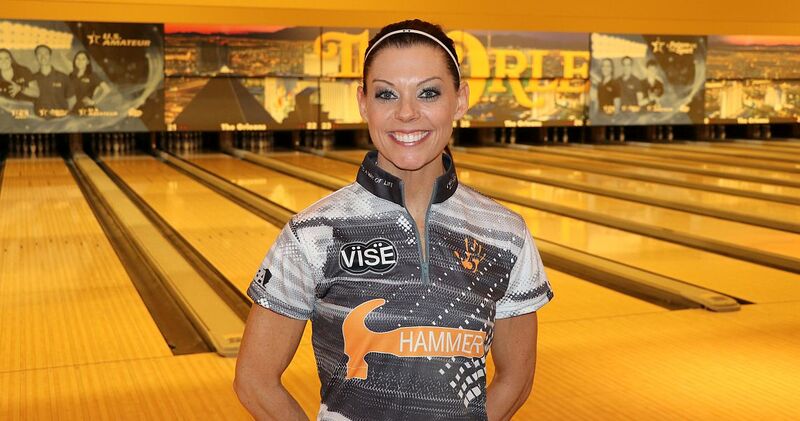 With one round to go, Jordan Richard continues to lead the women’s division in the U.S. Amateur standings with 40 points. Sarah Wille of Hoffman Estates, Illinois, is second with 76 points, and Sydney Brummett of Fort Wayne, Indiana is third with 89 points. DeeRonn Booker still holds the top spot in the men’s division with 80 points and is followed by Brent Boho of Colgate, Wisconsin (92 points), and defending U.S. Amateur champion Matt Russo (93 points). The final round of competition will kick off Sunday at 11 a.m. Eastern with the men’s fifth round. The women’s final round will start at 5 p.m. Eastern. At the close of competition Sunday, Team USA and Junior Team USA for 2018 will be announced.